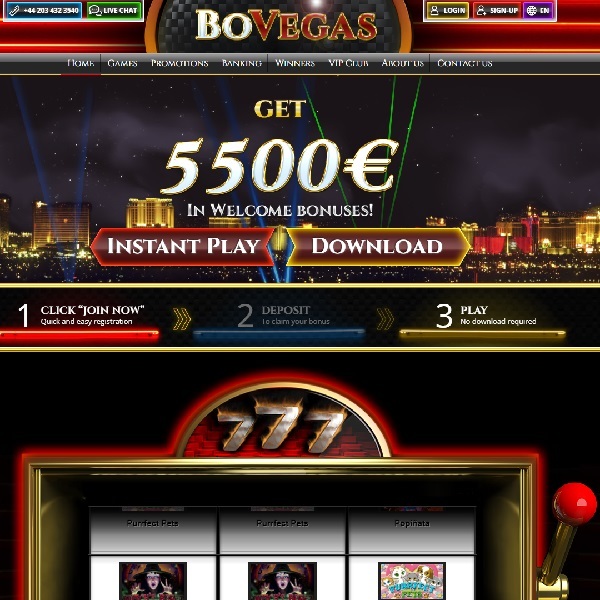 For Europeans who dream of visiting Las Vegas there are some alternatives and a new one is the BoVegas Casino that has just gone live. The site runs on the Real Time Gaming platform and brings a fantastic selection of the developerâ€™s games. You will find a huge collection of slots built on all kinds of themes and many of them are linked to progressive jackpots. There is a large selection of card and table games and of course, it includes all the standards such as roulette and blackjack. Video poker players have plenty of choice and there are also a number of specialty games to enjoy. New members are offered a welcome bonus package that is worth up to â‚¬5500. There are then daily bonuses and a loyalty scheme to take advantage of. The casino is licensed in Curacao and offers customer support around the clock.